Rivendell Behavioral Health is a hospital that offers extensive psychiatric services for the treatment of a range of mental health issues. 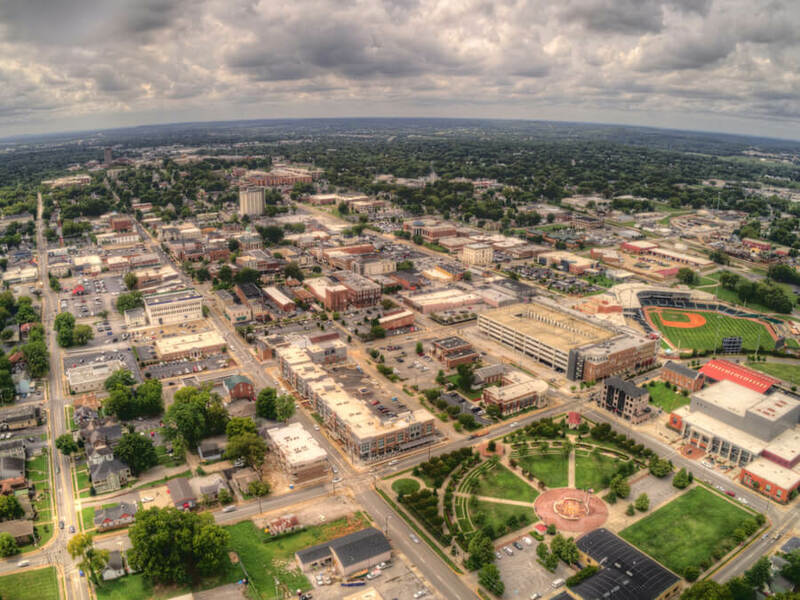 The facility is situated in the small town of Bowling Green, Kentucky. They offer their treatment services in both an inpatient and outpatient setting to clients who are children, adolescents, adults, and seniors. Rivendell Behavioral offers a wide range of specialized treatment programs that are devised to suit the specific individual needs of each client. Apart from psychiatric interventions into various mental disorders, the facility also provides rehabilitation for substance abuse and co-occurring disorders. On admission, clients undergo a thorough assessment that helps the clinical team arrive at a diagnosis for each prospective client. Based on this test, individualized plans are drawn up. The Rivendell Hospital is located on a sprawling campus of about 49 acres. The campus is interlinked by criss crossing pathways that lend the grounds a quaint and beautiful look. The gardens are well-manicured and offer ample space for socializing or relaxing with a book. Overall, the hospital exudes a calm and tranquil ambiance that is conducive to the recovery of patients. The residential quarters at the facility has a total capacity of accommodating 125 beds at a time. The psychiatric residential unit provides separate housing for male and female clients. Rooms are either shared by residents or availed on a private basis. The housing units also have a common area that comes furnished with cable TVs. Food is offered in the form of three meals a day in a cafeteria-style setting. This facility provides specialized psychiatric support and treatment to a diverse clientele. To this effect, their programs are devised to target the specific mental health or chemical dependencies that are developed by the various age groups. Their clients are drawn from a wide variety of ages ranging from children and adolescents to adults and senior adults. Rivendell provides a full continuum of support that commences with a comprehensive assessment and goes on till after the completion of the treatment course. Their programs offer a range of therapies that are firmly entrenched in 12-step philosophy and evidenced-based practices. Furthermore, they also offer aftercare support to clients who have completed their programs but are not yet confident about their ability to abstain from relapsing into older habits. This is carried out in the form of a less intensive outpatient program that clients can continue to attend. Matt Ours has been serving in managerial positions at various behavioral healthcare centers for the last 13 years. He joined Rivendell Behavioral Health Hospital in August 2015 as the Chief Executive Officer. In this position, he is in charge of overseeing hospital operations, quality deliverance, and overall growth of the center. He has a Bachelor of Arts from the Western Kentucky University and a Master of Healthcare Services from the University of Central Florida. Tim Gore has been the Chief Financial Officer at Rivendell Behavioral Health Hospital since he joined the facility in 2004. He has over 15 years of experience in providing financial oversight in behavioral healthcare institutions. As the CFO, he is in charge of revenue management, allocation of funds, and overseeing the financial growth of the center. He completed his education from the Western Kentucky University. Janay Atkinson is a Psychiatric Mental Health Nurse Practitioner associated with Rivendell Behavioral. As Director of Nursing and, she is in charge of overseeing the nursing department, conducting therapies in both inpatient and outpatient. As an MHNP, she also provides oversight into the prescription of medication for patients with psychiatric disorders or substance abuse issues. She attended and graduated from the University Of Kentucky College Of Medicine.